Your image is printed on fabric that is fastened on the product, which means you do not need to attach the images to the product each time you set it up. 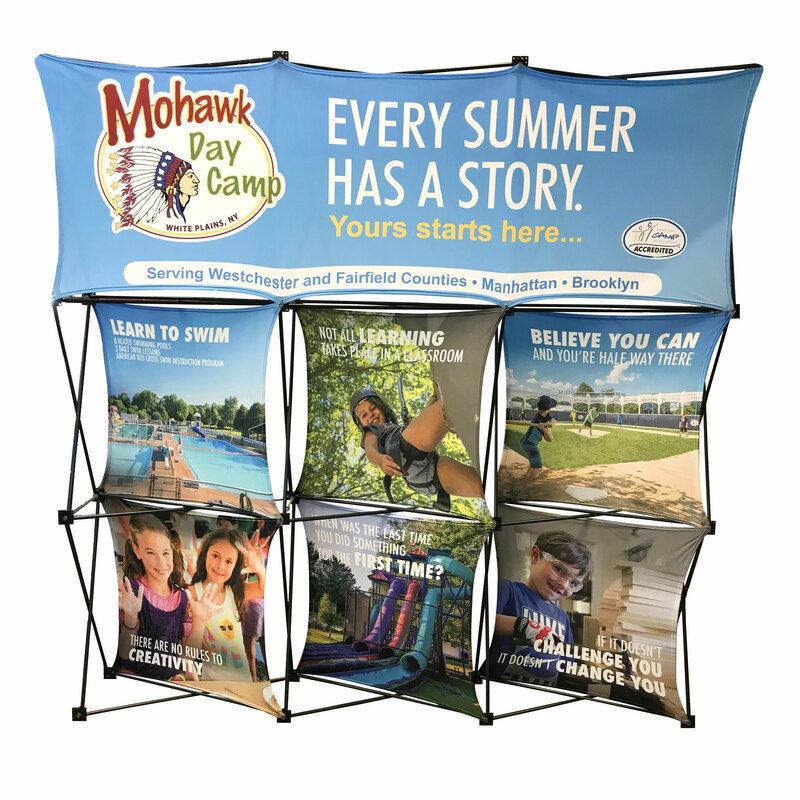 When you set it up, your image is automatically stretched in to place creating an eye-catching 3-Dimensional display. When needed, the graphics can easily be changed.